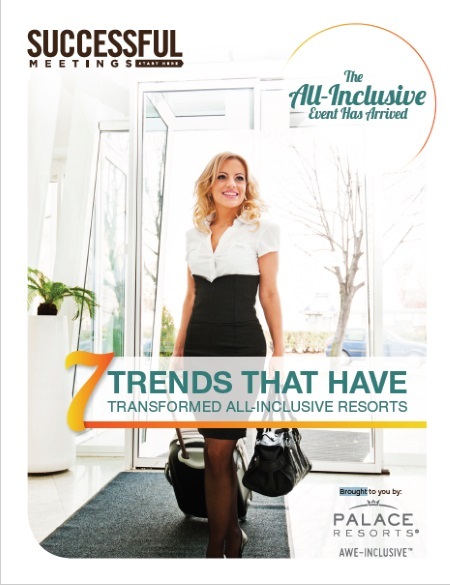 7 Trends That Have Transformed All-Inclusive Resorts is brought to you by Palace Resorts. With resort-within-a-resort concepts, top dining options, and a focus on health and well-being, the all-inclusive product has changed dramatically over the years. Successful Meetings takes a look at seven key trends that are driving changes in all-inclusive resorts. All-inclusives continue to be at the forefront of developments that tap into other travel trends that are ultimately making them more attractive options for meetings and incentive groups. 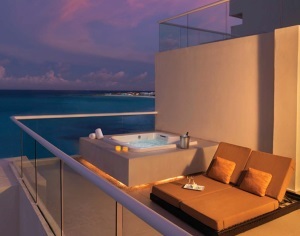 Many all-inclusives now rival the luxury four- and five-star properties, and the demographics of the all-inclusive product now cater to distinct market segments, from couples and singles to multi-generation families, foodies, health and fitness devotees, honeymooners, active vacationers, millennials, weddings, and meetings and incentive groups. Meeting and incentive planners are uniquely positioned to take advantage of the features and amenities found at luxury all-inclusives, from the soaking whirlpool tubs, gourmet in-room coffee and high-end toiletries offered in guest rooms to specialty restaurants, activities that are on trend, such as tequila tasting, and swanky nightlife settings. Successful Meetings is the leading multi-platform brand for multi-tasking meeting planners representing a variety of industries and job titles, delivering clear and easy-to-implement how-to strategies, creative solutions, and sourcing services. Its data, digital, events, and print products serve a vital sector of the meeting-planning marketplace that industry associations and other media companies are unable to reach—including senior executives, department heads, sales and marketing directors, and administrative professionals who plan and approve a range of business events from high-level retreats and conferences to ad hoc meetings.